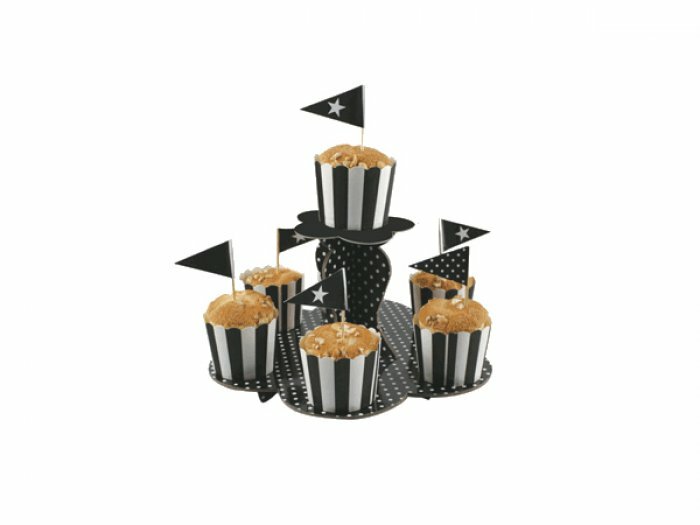 Sturdy and beautifully designed 2 Tier Cupcake Stand. Decorate yourself or just place your cupcakes around the stand for a centrepiece at your event. It can contain 6 cupcakes on the bottom tier and 1 on top.